Customers will no longer – and should not have to anyway – tolerate over promise and under-delivery. They demand comfort, security and value – and the knowledge that whatever they buy or order will arrive in good order. They also know that most guarantees are not up to much. Everyone has bought enough gadgetry, whether electronic or appliance to know that filling in a Guarantee form is not made easy. Even at the point of purchase they are cajoled into buying insurance in case what they are buying now will break down – ‘in which case it could cost you a lot if you do not have insurance’ we are told. Most companies offering guarantees have missed the point and use them as an opportunity to sell insurance. The fact is that a guarantee can be used as a very effective tool for developing business and making money (and I do not mean for insurance companies) just by effectively using it for what it actually is – a guarantee. A guarantee should provide comfort and security to someone that buys something – whatever it is. 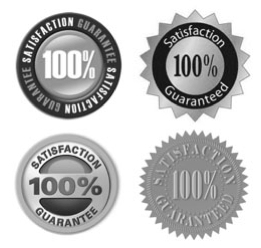 An exceptional guarantee must be developed to use for this and as a marketing tool to attract sales.